How to add the WordPress users? Can be accessed by the users created. 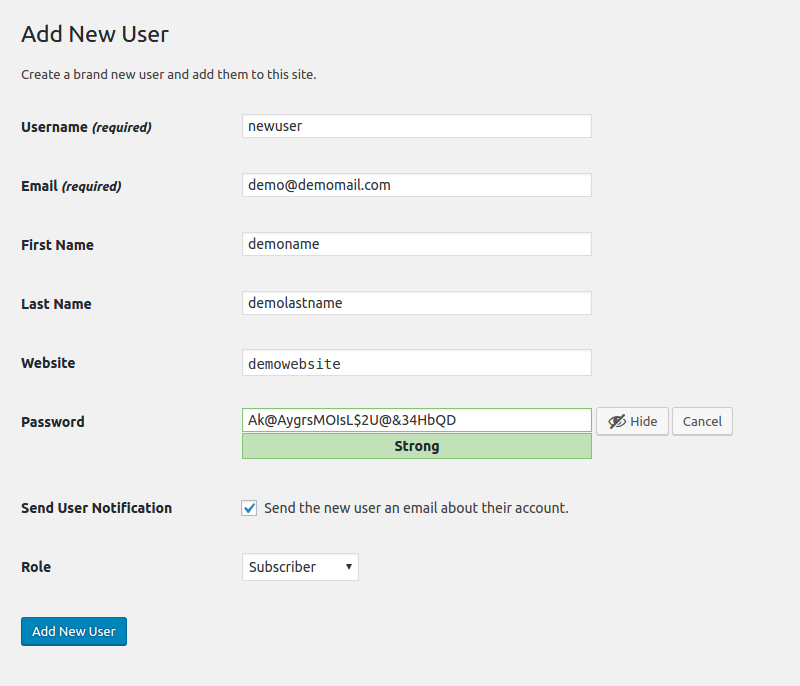 You can add the WordPress user or in WordPress Hosting from the admin panel as explained in the procedure below. Login to WordPress admin panel with the credentials. Click on users and select add new users in the panel. Enter the details in the provided field. Select the role of the user in the panel. And click on Add new user. The new user will be created and listed. How can I Upgrade or Downgrade my Reseller Account?